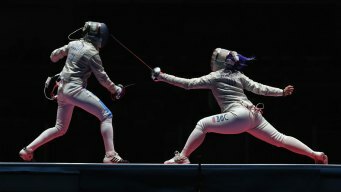 Fencer Ibtihaj Muhammad and the U.S. women's sabre team took bronze on Saturday in a 45-30 win over Italy. 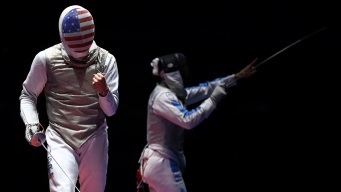 It was a near replay of the third-place match in men's foil Friday, which the U.S. won 45-31. 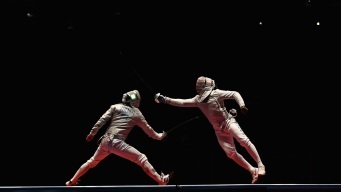 Miles Chamley-Watson shined for the United States in their semifinal loss to Russia in the team foil competition. 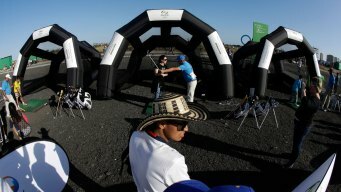 Check back for live updates throughout the day of the matches we're watching. You can stream all the action at NBCOlympics.com. It's been four years since Italy won gold in the men's team foil competition. In Brazil, they return to the piste to defend their title. Two local athletes made history in day five of the 2016 Rio Games as Team USA continued to rack up medals.